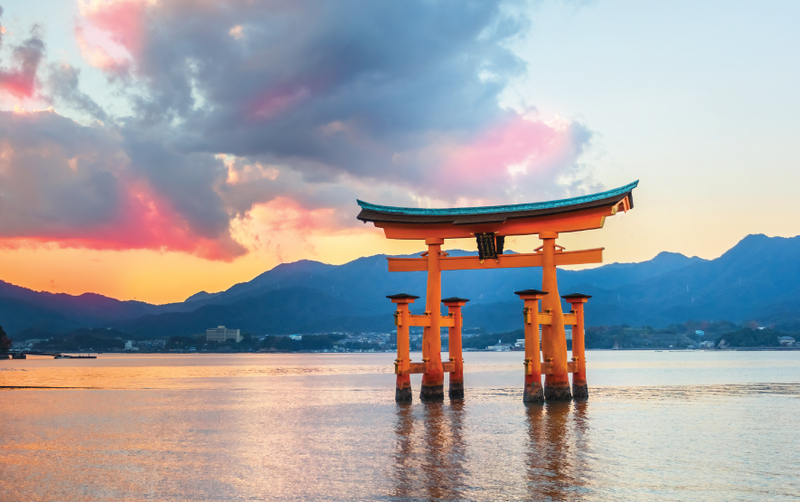 The breath-taking sight of the giant floating torii gate, rising high above the blue waters of the Seto Inland Sea, is iconic to Miyajima. In fact, it is iconic to Japan. This view is quite naturally ranked as one of Japan’s three best views, and Miyajima itself is considered to be the ‘Island of the Gods’. Miyajima is small yet attractive, around an hour from Hiroshima. You could drive there or take the ferry, but you should experience the charm and peace of this mountainous island by staying in a ryokan and exploring it on foot. There’s plenty to see and enjoy here, for a memorable holiday. 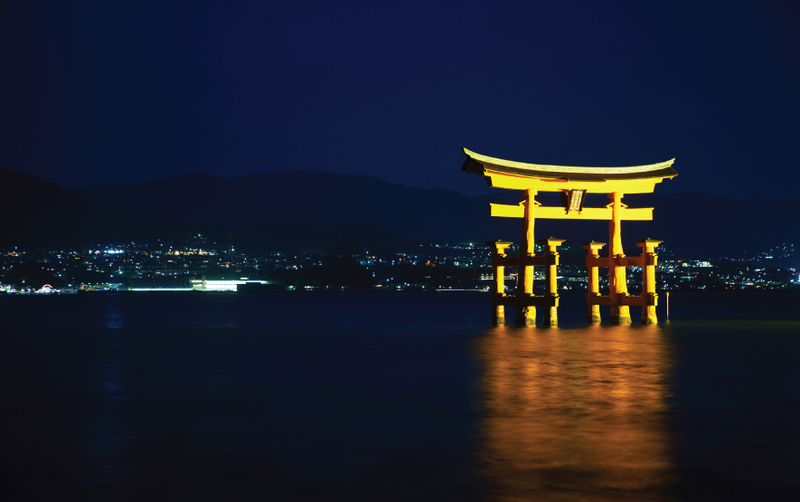 The sacred island of Miyajima, though officially Itsukushima, is known especially for its Itsukushima shrine and the floating torii. The Great Torii, part of the shrine, is considered to be a boundary between the world of humans and spirits. It is an ethereal sight at high tide, when it appears to float on the water. The shrine’s main buildings too, are built over water. The shrine, a UNESCO World Heritage Site, draws numerous visitors all through the year. 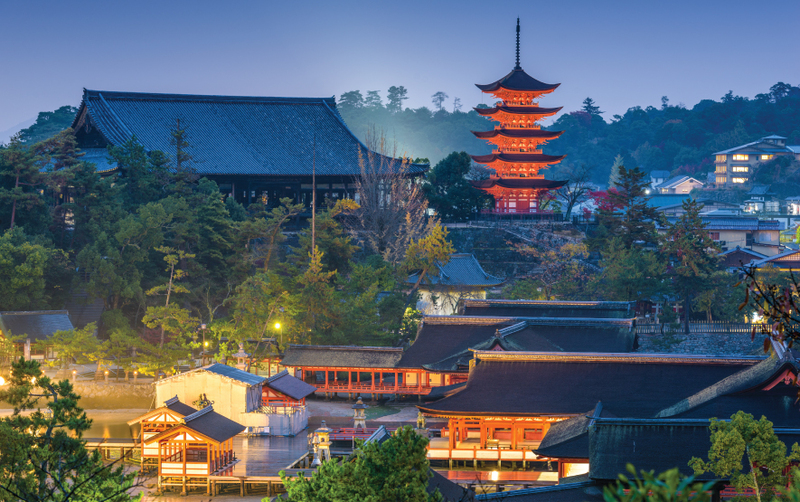 On the hills to the left of the Itsukushima Shrine, you’ll find the five-storey Pagoda, standing out from the surrounding in its bright red colour. It is even more beautiful to witness at springtime when it is surrounded by the enchanting cherry blossoms. The 15th century Pagoda is known for housing the Buddha of Medicine, and was built using construction techniques introduced from China. If you’d like a little adventure, hike to the top of Mt. 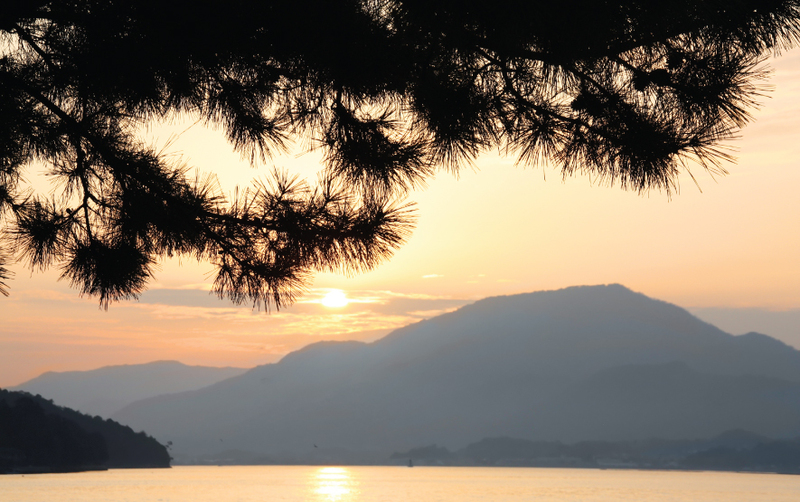 Misen, Miyajima’s highest peak, and enjoy panoramic views from the top. Just follow any one of the three hiking paths, or ride the ropeway to get closer to the observation deck. You’ll also spot the occasional monkey or deer as you go up the mountain. Enjoy the beauty of nature here, in every season, with cherry blossoms in the spring and flaming, changing foliage in the autumn. At the base of Mt. Misen, you’ll find the Daisho-in Temple, one of the most important temples of Shingon Buddhism. As you walk up the temple steps, turn the prayer wheels that line the stairs and benefit from the blessings that are said to be bestowed on anyone who reads the inscriptions on the wheels, or turns them. Discover numerous Buddha statues and temple halls here in the spacious premises as well as other shrines and temples. For a gastronomic experience, walk down Omotesando, a street lined with souvenir shops and food outlets. Taste the famous Momiji manju—a delicious stuffed bun, grilled oysters and conger eels. The atmosphere of old Japan pervades the island and you can soak in its ancient mood, or you could paddle around the island in a kayak, to enjoy and appreciate the island’s beauty from a distance. 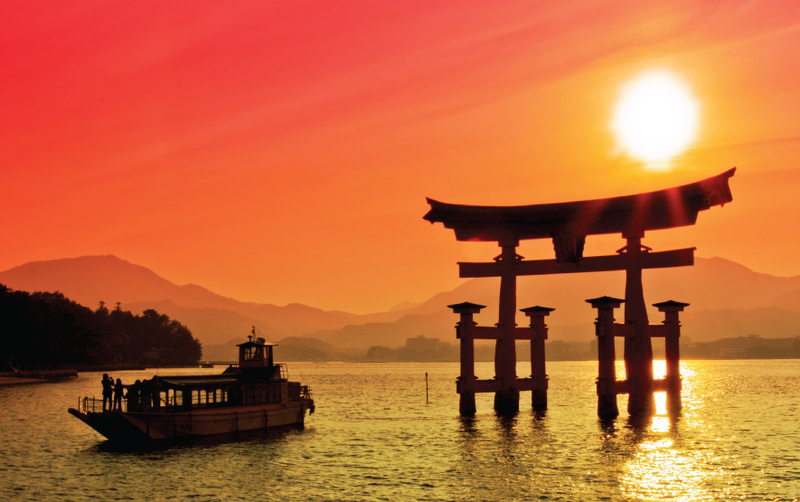 Miyajima is an island of untold treasures. It waits to be explored and discovered, and taken back in your hearts as delightful experiences and fond memories. If you are planning a trip to Miyajima in Japan, do not hesitate to contact your luxury travel designer Mr. Isao Numano.